Nissan could face annual post-Brexit tariffs of about 290 million pounds for exports from its Sunderland plant, shown. Compensating automakers in the UK for any post-Brexit tariffs on exports to European Union could see the government hand the companies more money than they need to pay the salaries of all their British workers, a Reuters analysis of corporate filings shows. Nissan Motor said in September it would only commit to new UK investment if it received a guarantee of compensation to offset any such tariffs. Last week, it agreed to build new models in the country after Prime Minister Theresa May said the government would provide support to preserve its competitiveness in the EU market after Brexit. The nature of the Nissan deal - which gave the UK a crucial corporate endorsement as it prepares for life outside the European Union - is unknown. The government said there hadn't been a "detailed and specific" agreement on tariffs. If the UK does not secure a free-trade deal with the European Union, automakers in the country could face export tariffs of 10 percent - the level the EU imposes on cars imported from outside the bloc. The cost of compensating Nissan, which has 2.9 billion pounds ($3.5 billion) of annual EU exports, would be 290 million pounds a year. That would exceed the company's UK wage bill, which was 288 million pounds in 2015, accounts for Nissan's main UK operating unit show. The pattern is followed across the UK's auto industry. Reuters examined the accounts of eight of the biggest car exporters, including Jaguar Land Rover, Toyota, Bentley, Mini, Rolls-Royce, Aston Martin and Honda, which are all foreign-owned. Their wage bills averaged 7.5 percent of total operating costs and 7.7 percent of turnover. This suggests the cost of tariffs on vehicles exported from the UK to the continent - levied at 10 percent of turnover - would exceed the wages paid to British workers to build those vehicles. Member of parliament Clive Lewis, the main opposition Labour Party's spokesman for industry, said the Reuters analysis "raises new questions about any assurances the government have given to Nissan." He said the government should reveal details of its deal with the carmaker. "Ongoing secrecy about exactly what they have offered means these findings are a cause for concern," he added. But a Reuters estimate based on corporate filings and company statements suggests they totaled over 10 billion pounds in 2015 - around 40 percent of UK carmakers' exports. This would mean carmakers in the UK could face additional tariffs of over 1 billion pounds ($1.24 billion) a year after Brexit, if the government does not secure a free-trade deal for the industry. Kevin Farnsworth, a professor of social policy at the University of York who has researched and written extensively about government subsidies, said the cost would go beyond any previous support offered to UK industries. "A subsidy of this magnitude would be huge," he said. "An ongoing commitment to subsidies a company would be unprecedented." When asked about the government's plans for supporting carmakers, a spokesman for the Department for Business, Energy and Industrial Strategy referred to comments from minister Greg Clark at the weekend, when he said the government believed it could secure a trade deal with Europe that would not involve tariffs on vehicle imports or exports. However, such an outcome is far from assured. The biggest European business lobby groups, including some which have carmakers such as Daimler and Volkswagen as members, have urged their governments not to grant Britain single market access without following all the EU's core rules - something UK ministers have said they do not want to do. Clark told the Times newspaper last week that the Nissan deal had been a "high-level commitment" and that it did not go into details on issues like compensating the company. For carmakers, key sterling-denominated costs - where they would benefit from the currency's weakness - are wages and local procurement. Only 37 percent of the UK automotive industry's total supply chain spend was sourced locally, according to a 2014 report from accountants KPMG. Much of that was supplied by companies whose products used imported raw materials and components. 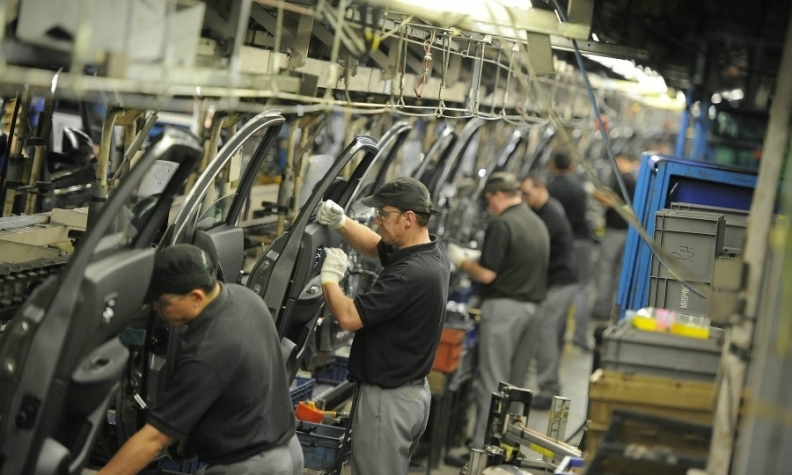 Nissan's main UK operating unit in Sunderland employed 7,240 workers last year. If the government subsidized the company just 145 million pounds a year to make up for half the 10 percent tariff on its exports, the cost would represent 20,000 pounds a year for every worker at the plant.